There is no such thing as a self made man. When God wants to bless you, he will mostly use people, it is only when he can't find them He will use animal or things..
My greatest wealth today after the HolySpirit, are my family and friends. I come from a great family that values devotion to God, family, and diligence at work and business. In life I have friends who taught me how to spell and smell 'Opportunity', how to put my best foot forward, those who show up to listen or brainstorm with me in changing times and those with whom we work, play and celebrate together. I have been blessed with many friends that I might need to write a full report mentioning names. 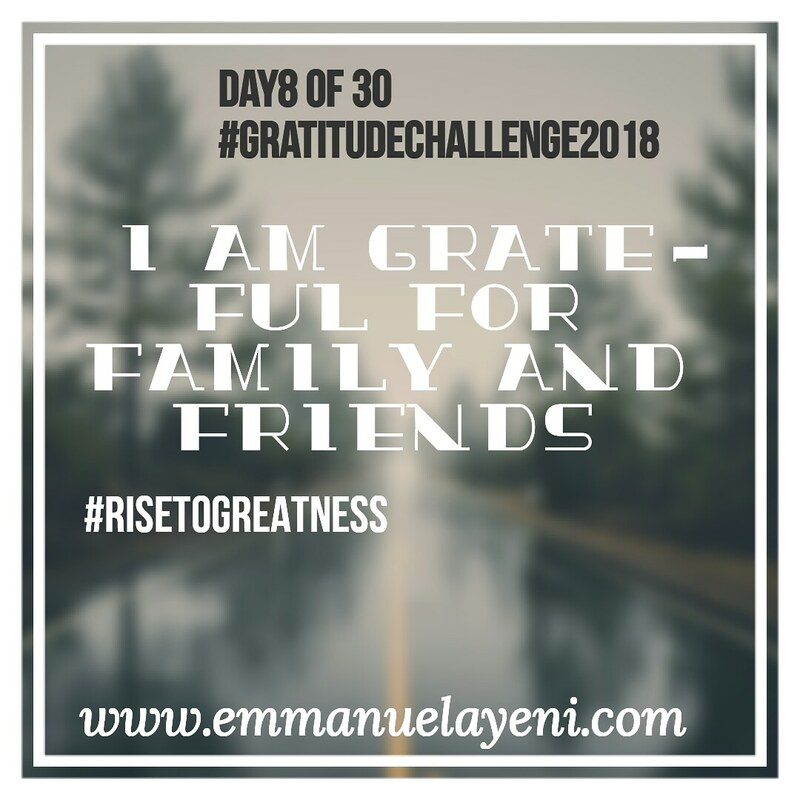 I have been blessed with a lovely family, a beautiful wife and lovely son, I belong to a big family of wise, godly and lovely fathers, mothers, brothers, sisters, aunties, uncles, cousins, nieces, nephews and in-laws, for which I am grateful and thankful. You my friends ( online and offline) and family continue to challenge me, encourage me, believe in me, watch my back and help me grow everyday. I am thankful for friends and family.